Stop paying for cable. Enjoy free television, with high quality indoor TV antennas that connect to local broadcast towers and provide you with free channels. Nobody likes paying high cable bills. If you are still paying for cable, it’s time to cut the cord. The truth is, you will not be alone. A lot of people are cutting the cord these days, and every person with a Netflix subscription, an Amazon Prime account, or with an over-the-air antenna is already part of this movement. 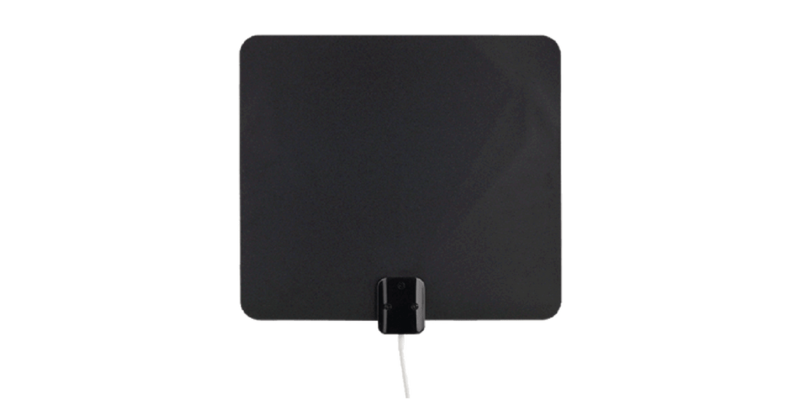 For people who are looking for a free alternative to a cable, we have made a series of best HDTV antennas available. After reviewing both amplified and non-amplified HDTV antennas, we decided to share with you our best picks. 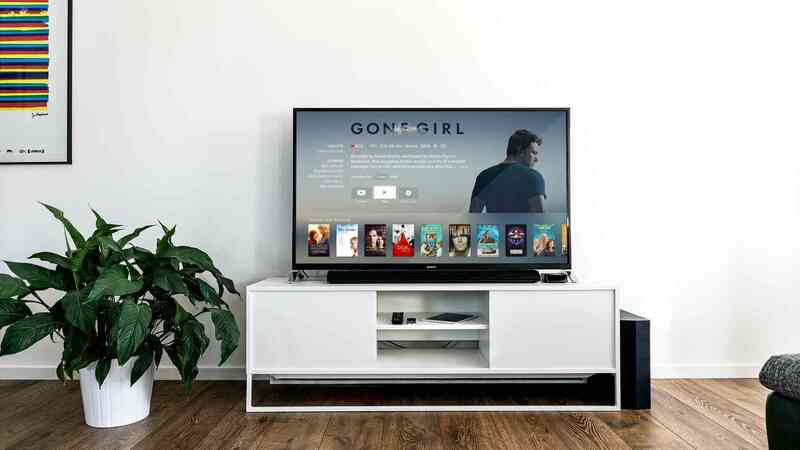 The main objective of cord cutting is to save money and enjoy the same (or better) watching experience using a different or cheaper alternative. You won’t find a better indoor HDTV antenna than the ClearStream Eclipse. It picks up signals from 50 miles range and provides great reception even for rural areas. For it’s price range, we consider it a very solid deal. 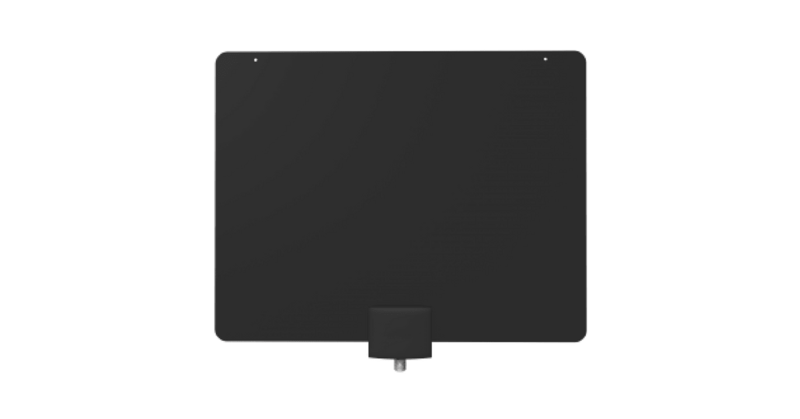 The ClearStream Eclipse is an powerful indoor TV antenna that can provide all sorts of free TV channel without the need for mounting, or other complicated hardware. The antenna uses smart Sure Grip technology, which allows it to latch onto any smooth surface inside your house. Stick it to a wall, a window, the side of a dresser, or wherever else and you still get great performance. 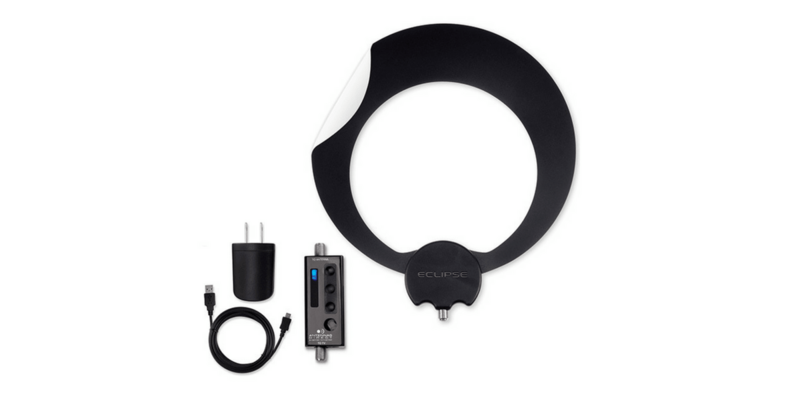 The Mohu Leaf 30 is one of the best performing, easiest to install indoor TV antennas available. Its small, paper-thin design mounts easily to a wall, or just about anywhere. The Leaf 30 can receive free over-the-air HDTV broadcasts from multiple directions, so you don’t need to move it to pick up signals from different TV towers. This model is capable of picking up UHF, VHF and full HD signals from up 30-mile distance. Cord cutting is a term that means canceling traditional pay-TV services, like cable or satellite TV. There are plenty of good reasons to cut the cord. Here are three of the most important. The result of frustration for many people is constantly increasing costs of cable and satellite services. Some of these plans are starting around $50 only for the channels in the basic bundle. When you consider that many important TV channels can be picked up for free and quality antenna cost around $40 and it is a one-time investment, it is logical why so many people are leaving these pay-TV services. 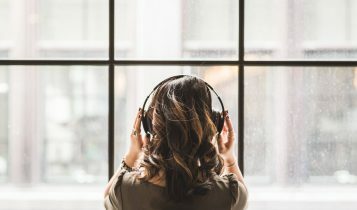 One of the best features offered by a service such as Amazon Prime, Hulu or Netflix is the ability of the system to curate content according to your taste. In short, you are watching what you want. As we mentioned above, the purchase of the streaming device, smart TV, or antenna is a one-time investment. There are three cord cutting options available – antenna, streaming, and the combination of both. In this article, we want to present you the first and cheapest option. 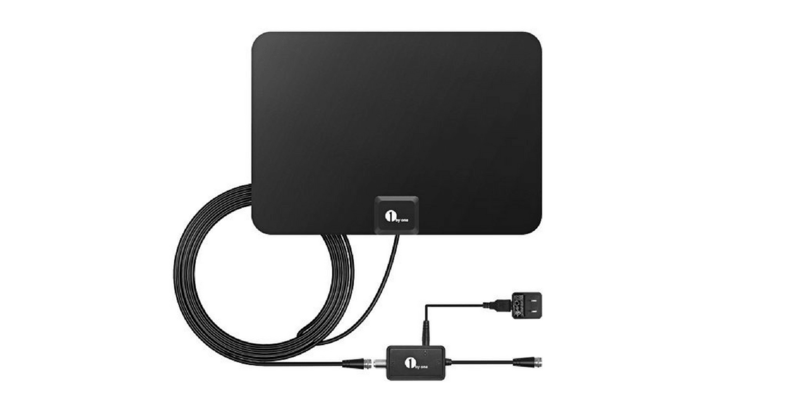 Buy an indoor or outdoor antenna and connect it to your TV and start receiving programs from over-the-air local and network affiliate TV channels. 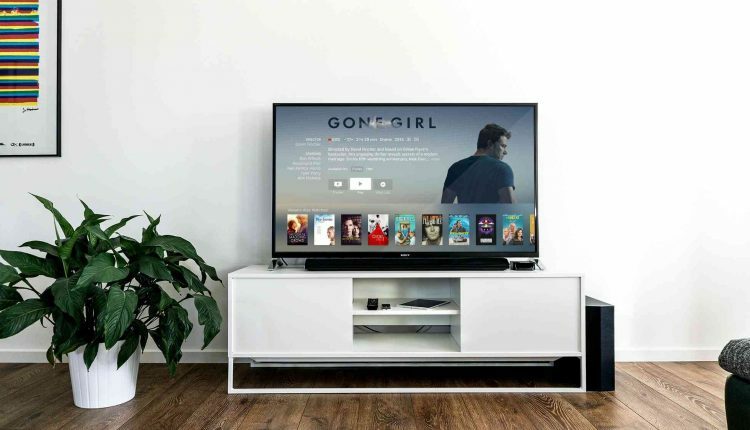 Today, we are here to help you decide which indoor TV antenna is the best in the year 2019. 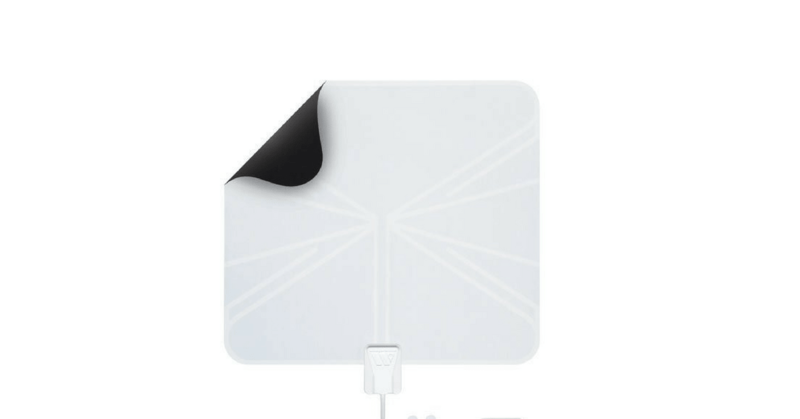 The Mohu Leaf is easily the most popular indoor antenna on the market. It has an impressive and strong performance, can capture most channels in your area, with the major networks all coming in at a crystal clear, crisp and smooth 1080p HD. The Leaf 30 popularized the flat paper design you can find on many indoor antennas these days. Like the ClearStream Eclipse, it is an omnidirectional antenna which means you don’t have to angle it toward a specific spot. 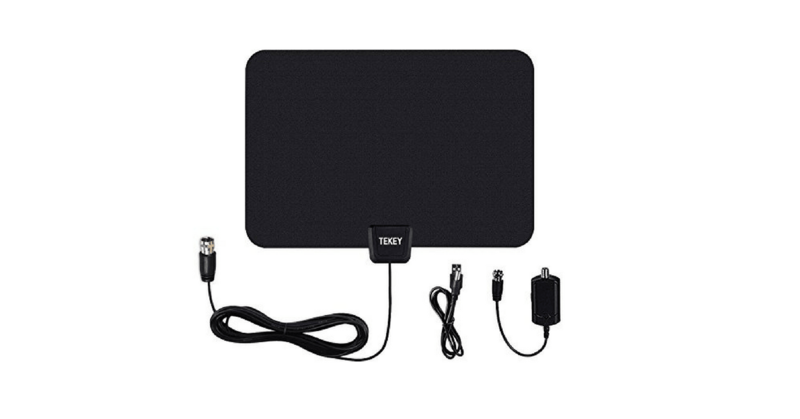 This super thin HDTV antenna is specially designed for receiving over-the-air TV signals from all local television in your area. Wsky provides a clear and crisp picture by capturing a strong and stable signal. What´s more, this antenna is very easy to set up, just plug attach cable line, and run the channel scan. The 1Byone amplified HDTV antenna has been on the market for a long time and you can find plenty of customers who are satisfied by using it. Rated to receive broadcasts from up to 50-mile range, you get most of the main network affiliates (and local channels) in your location, in clear 1080 resolution. This is an inexpensive way to get an amplified antenna, but the 1byone is not the best performer on the market. Yes, you get main channels in full HD resolution, but the connection is shaky even with the amplifier. If you spend a few more bucks on models like ClearStream 2 or RCA Skybar, you’ll likely receive better reception and more channels. 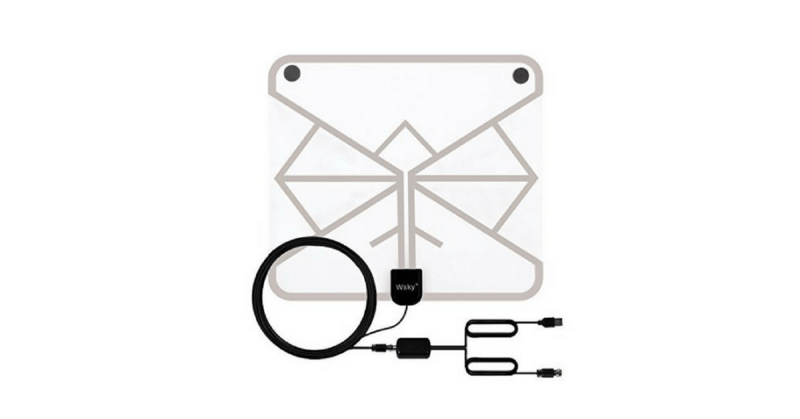 But if you are looking for decent and cheap TV indoor antenna, 1Byone Amplified comes with all the requisite components you need. It means that you are not going to have to pay more for something that you will not be using. The Skytv amplified indoor HD antenna provides a 50-mile range that enables access to all your favorite local channels. Hide it behind the television or bookshelf, stick it high in a window, due to its ability to withstand different weather conditions such as sunshine or moisture, you´ve got a durable device in your house. The SkyTV antenna picks up a great picture using upgraded Crystal Clear Filter technology that easily filters out cellular and FM signals which leads to low noise interference, more channels, and overall clearer picture. 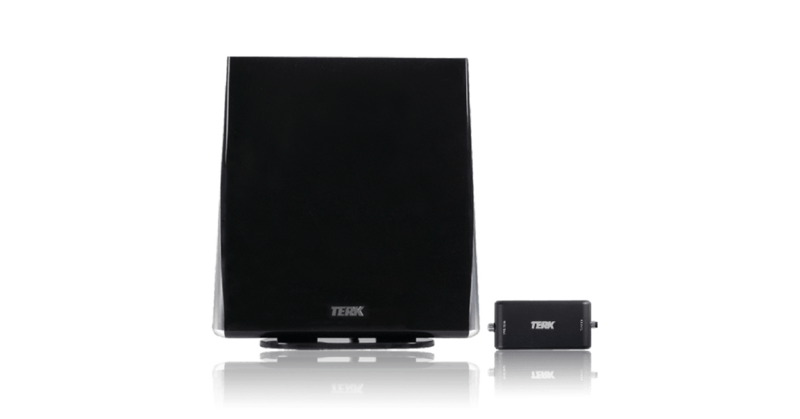 Designed to optimize HDTV and analog reception with UHD and VHF capability, TERK is an amplified TV antenna that scans in a 50-mile radius, so you should capture most of the channels even if you are far away from the transmitting tower. 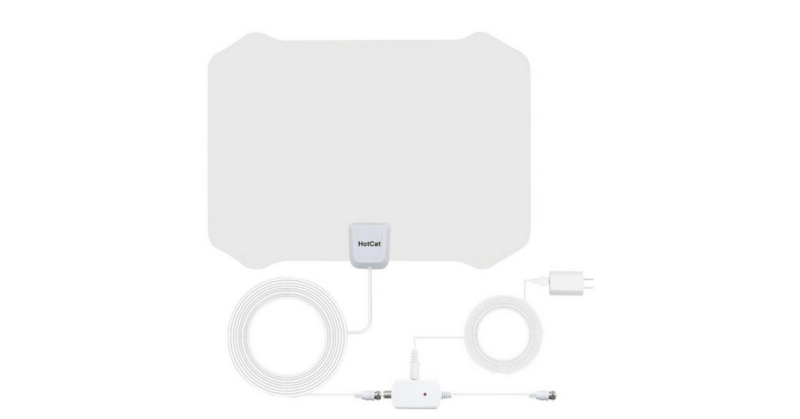 Honestly, it is not the best HDTV antenna on this list, but it is a good and cheap one. Although it looks thin and soft, HotCat antenna is able to receive the signal from 60-80 mile range and provides you with a crystal clear image quality in full HDTV resolution (1080p). HotCat is durable, flexible and comes all the wires you need to hook up to your television. The ClearStream Eclipse is designed to get you the easiest installation you can imagine. The Sure Grip technology lets you position the antenna on any flat surface such as walls, windows or even behind your TV. It includes a number of sticky pads in the box to help you do this. The Eclipse is lightweight, attractive and what is most impressing, it is one of the best performing indoor TV antennas in the 35-mile range category. FlatWave FL5500A is a good starting point for cord cutters. An ideal entry-level TV antenna which has good performance, useful features, and reasonable price. This paper thin, extremely light multi-directional antenna captures signals from broadcast towers as far away as 50 miles. Lay it flat on a surface, mount it on a wall, or put in on the window. You will receive an over-the-air signal from major networks like Fox, CBS, NBC, PBS, and ABC with good picture quality. Great reception. These two words describing RCA Air best. It is a multi-directional indoor TV antenna with a 60-mile range which is using RCA’s SmartBoost technology to enhance the reception of weak signals. The RCA antenna is able to receive both UHF and VHF frequencies and will provide you with the most content if full 1080 HD quality that is available in your area. Mount it on a wall or put on the window, the double-sided mounting tape and 12 feet long coaxial cable help you find the best possible placement in your room. To be clear, the ClearStream 2 isn’t cheap and looks ugly. But if you want to have a versatile TV antenna in your home that is capable and built to handle even an outdoor installation, we have a winner for you. 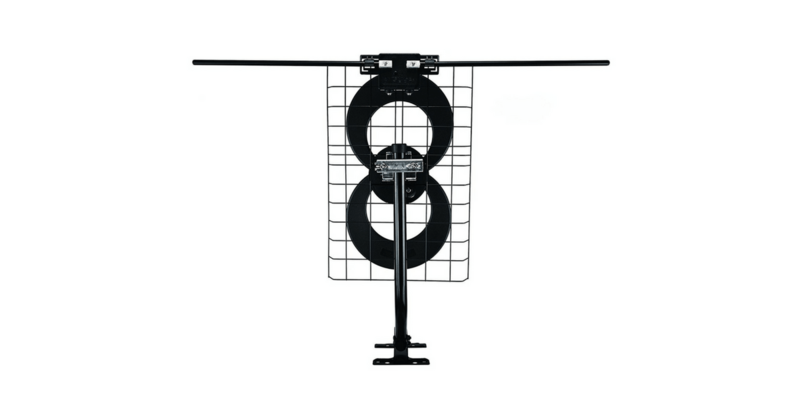 This HD antenna can cut through heavy foliage outdoors and gets you most of the channels in your location with ease. It is rated as a 70-mile range antenna and includes UHF and VHF multi-directional reception, so it can really pick up all networks in full HD 1080 where available. First and perhaps the main reason, a TV antenna helps you save money for numerous service agreements you have with satellite providers and cable. If you combine the HDTV antenna with third-party streaming services, you will probably get all the channels you want. It´s simple math. A high-quality indoor HDTV antenna costs around $50, but by cutting the cord you might save hundreds of dollars a year. A strong argument, what do you think? The second reason why to get an antenna is the picture quality. Antennas can sometimes deliver better picture quality than satellite or cable. 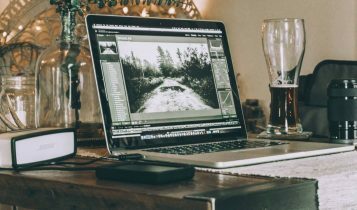 The over-the-air broadcasts are delivered in 1080p resolution while cable and satellite companies often compress their broadcasts to save on bandwidth and deliver them to you in lower HD quality. Did you know that almost every popular TV show, sitcoms, and other major events, are all available over-the-air for free? According to a survey, 90 of to 100 TV programs are broadcast for free. Aiming your indoor antenna at TV transmission towers can improve reception. In an ideal scenario, you will do the research before you even buy your antenna. 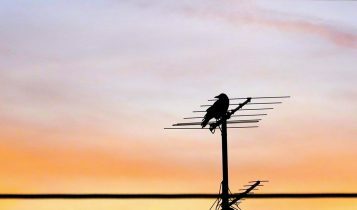 Fortunately, there are helpful websites for locating TV signals in your area – TVFool.com and AntennaWeb.org. Just enter your street address and see a map outlining the direction and distance of the broadcast towers in your area. Not only the distance of transmitting tower is important for signal quality, you should also keep in the mind, the fewer obstruction between towers and antenna you have, the better. That is why placing your indoor TV antenna in or near a window gets you best results. Yes, for a better signal reception you should have an antenna on your roof (outdoor antenna), but in many situations, the indoor HDTV antenna also works well if you put it high as you can in your room (and next to the window). That’s why outdoor antennas are able to pick up so many channels. Plug in the antenna and pick up channels in HD. No, it doesn’t work that way. You probably have to test various locations in your room until you find the best positions.